Over 2 days Printmakers Dena and Jess will be demonstrating printing techniques and discussing the print processes being covered in the up and coming workshops here at Circle Contemporary Gallery. 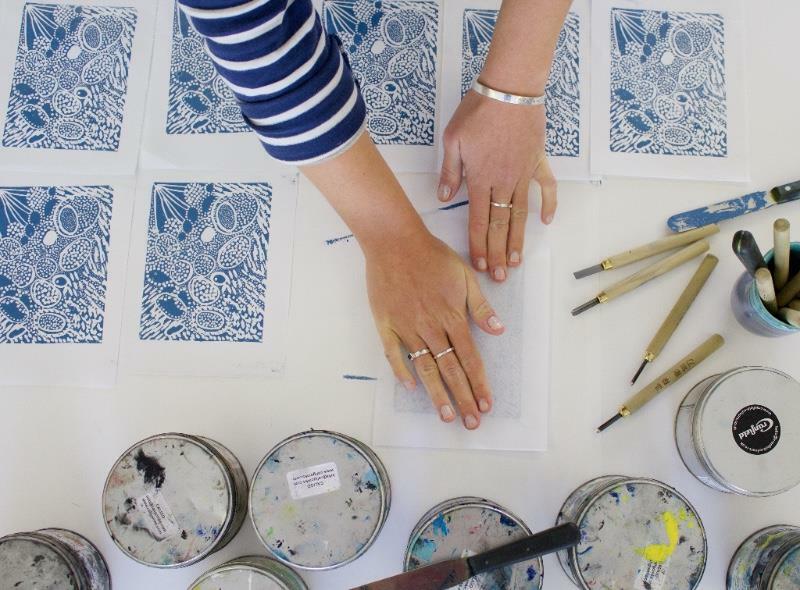 Learn the basics of three varied yet versatile printmaking processes, open to everyone, this taster day will explore Linocut, Screen Printing and Drypoint. There will be opportunities to join in, ask any questions you may have about printmaking or our workshops, or just come along and watch the printing!